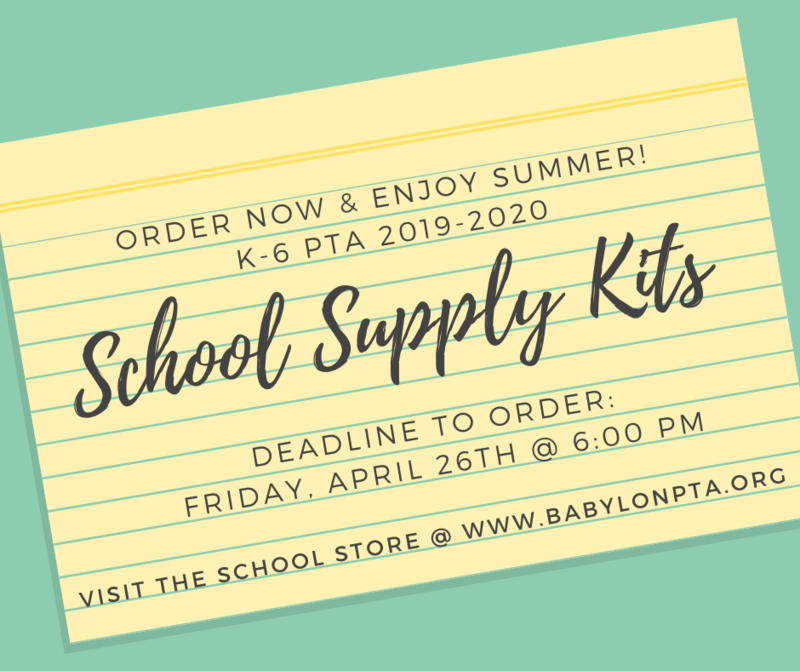 School Supply Kits On Sale Now! Our very popular fundraiser is back. Everything on the K-6 teachers' lists! All top brand names & super easy! Kits get delivered right to your child's classroom once assignments are delivered in August. Email babylonptamembership@gmail.com or text Robyn S with any questions at 631-848-0210. Order Deadline: Friday, April 26th @ 2:00 PM - no exceptions. 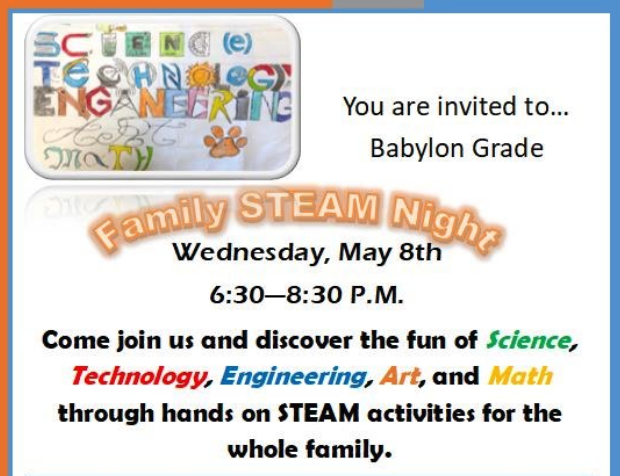 K-6 PTA is thrilled to be working with Mrs. Hosek & her team on this FUN, hands-on and edcuational STEAM event. Come by with your family and check it out! We need 20 volunteers! 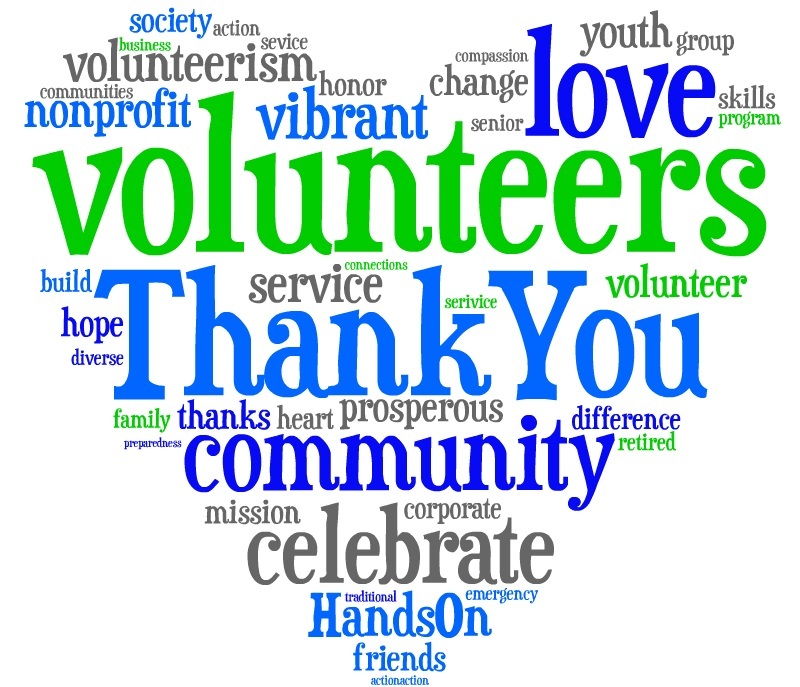 Your time is greatly appreciated and will ensure a successful event for all! Pizza and refreshments will be served after the Meeting and Awards "Ceremony"
Please RSVP so we can order enough sustenance. Kids invited! Please note - only soft items (even those stuffed animals! yay!) will be accepted. Please use heavy-duty plastic bags. Pull up, drop off and drive away! Donate, don't accumulate. Proceeds will help fund our 6th grade end-of-year events that celebrate their moving up and out.